Stella!!! 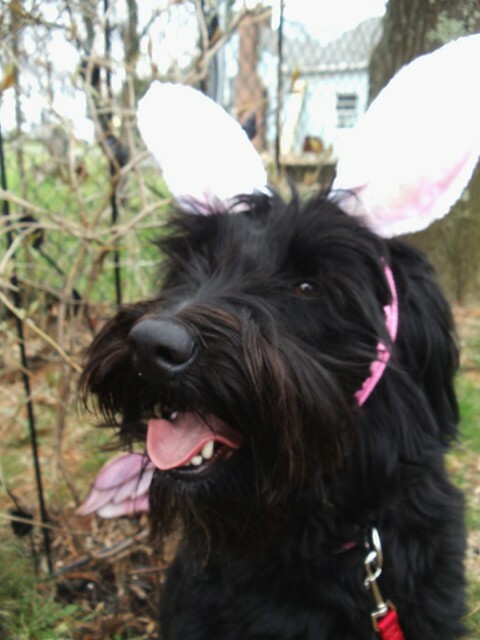 A Blog About A Schnoodle!! 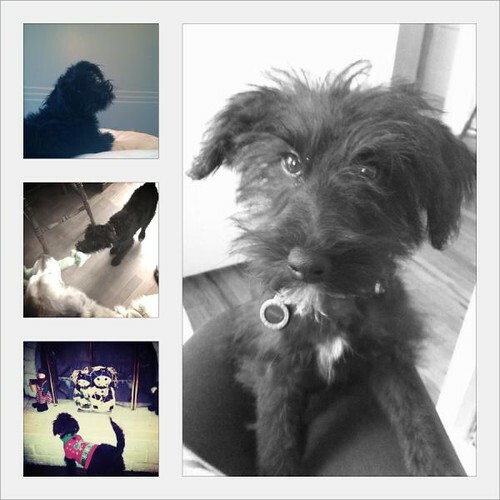 | A Blog About A Schnoodle! So Miss Stella…..as has been mentioned before….is a high energy pup…. 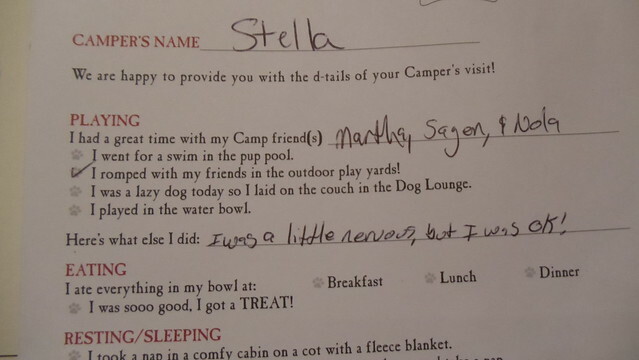 She flunked the interview at her first doggie day care….which is nothing against the facility….and certainly nothing against the maybe inappropriate behavior on Stella’s part…..
We took her to a second interview and she passed! 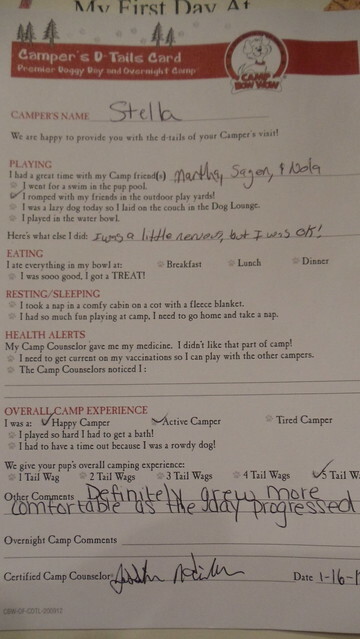 Yes, she passed….and as of last Wednesday…she is a welcome camper at Camp Bow Wow – Portland! She got her first Report Card! 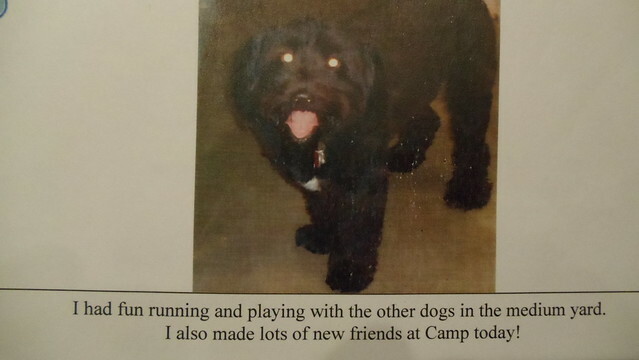 Can’t say enough about the super nice people at Camp Bow Wow – Portland!!! Very knowledgeable about “issues” a Schnoodle might have….so friendly, and the facility is SPOTLESS!!!! Feel very good about taking our girl here 1 day a week. 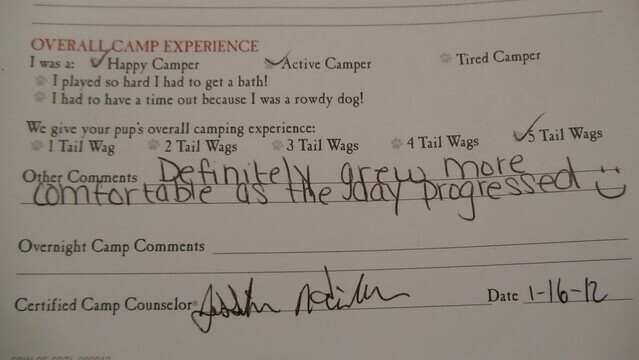 They even have webcams…..so you can check in to see what your little Camper is doing during the day!!!! Hopefully she can behave herself and play nicely with the other Campers! 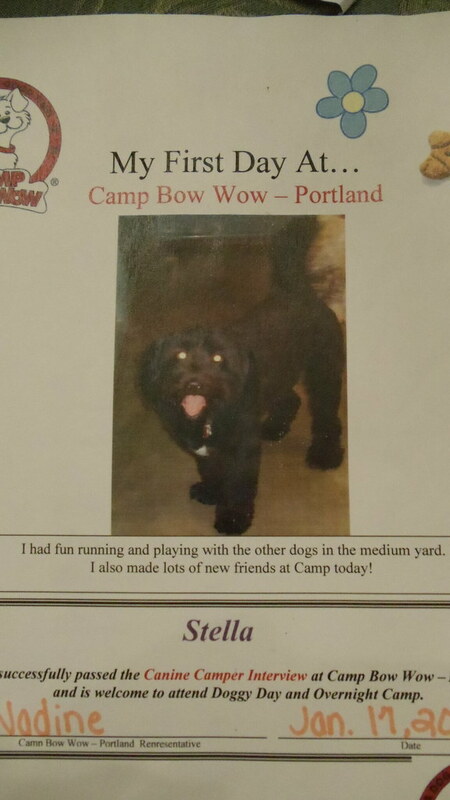 Thank you Camp Bow Wow – Portland!!!! Yes, it’s been a long, long time….even though I haven’t been posting…Stella’s blog has still been busy!! Back on January 5th….her blog had 113 visitors! WOW! 113! AND I’ve been getting notes from other Schnoodle Mama’s out there….soooooooo I thought I would dust off the blog….and start with a little something I call “Guest Schnoodle”!!! Our first Guest Schnoodle comes to us from Texas……a warm round of applause for…..
Look at that face!!!!!!! The little patch of white on his chest……he looks just like our Stella!!! AND…..he likes to wear costumes just like Stella!!!!! And there you have it……another ridonkulouly cute Schnoodle!!! Thank you Bingley’s Mama for letting me post his photos!! Yes, I have been a slacker….not that Stella hasn’t been up to anything….Mama’s just been lazy!!!! 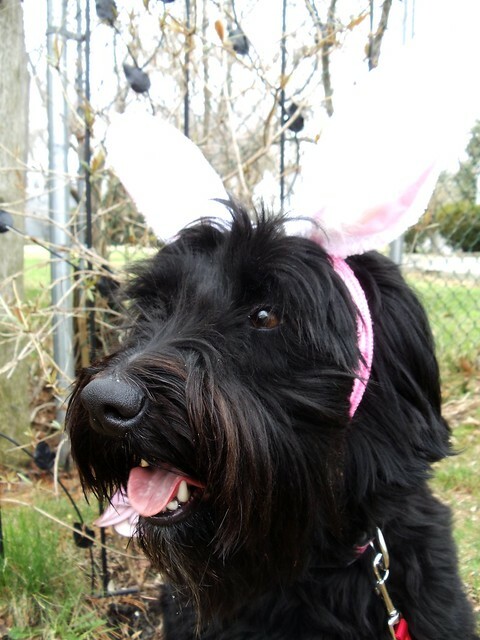 Today is Easter….and look what the Bunny brought Stella!!!!! (Actually it came in a box from her Northern Grammy and Grampy). "What Mama? What does that mean??" "I don't want to do this Mama." 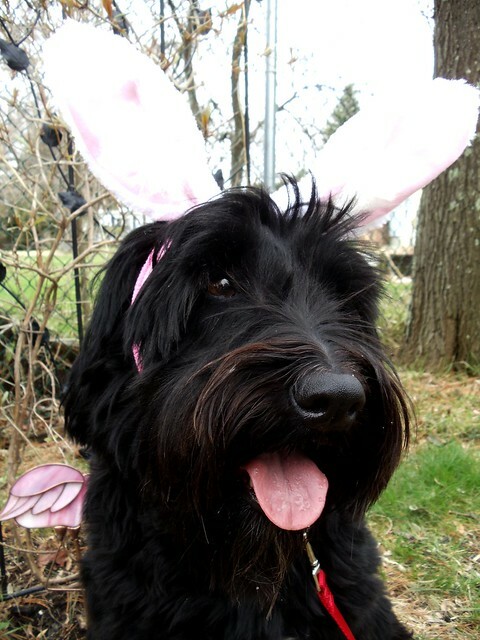 It's the Beautiful Easter Schnoodle!! "I DO look beautiful Mama!"